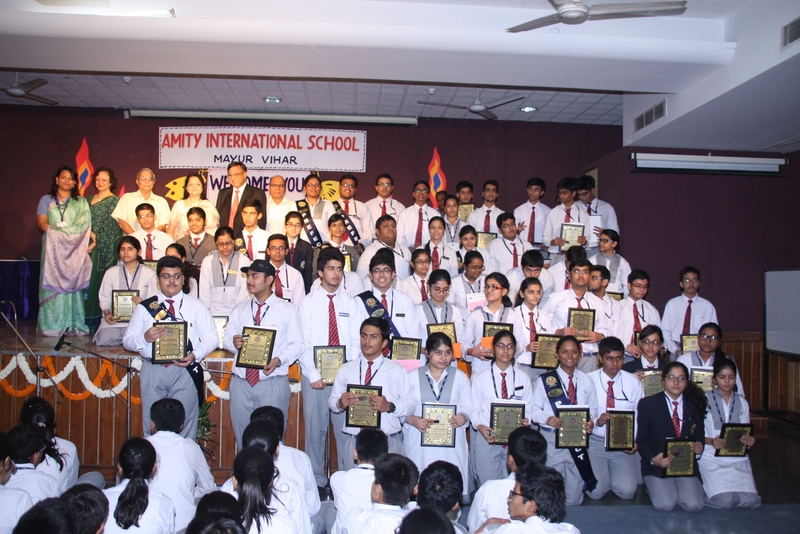 Amity believes in rewarding the diligence of meritorious students in their strive for excellence in academic endeavours. Every year, scholarships and scholar badges are awarded to the students in recognition of their commitment to academic excellence. The top 5 students of each class among all sections, scoring 90% and above are eligible for scholarships. 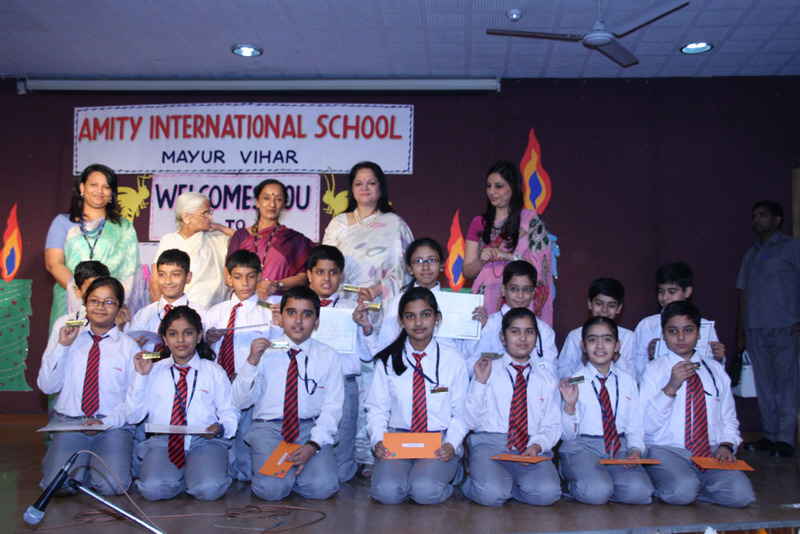 Students who showcase exemplary performance in each class are awarded. Every subject topper gets a trophy and a certificate. 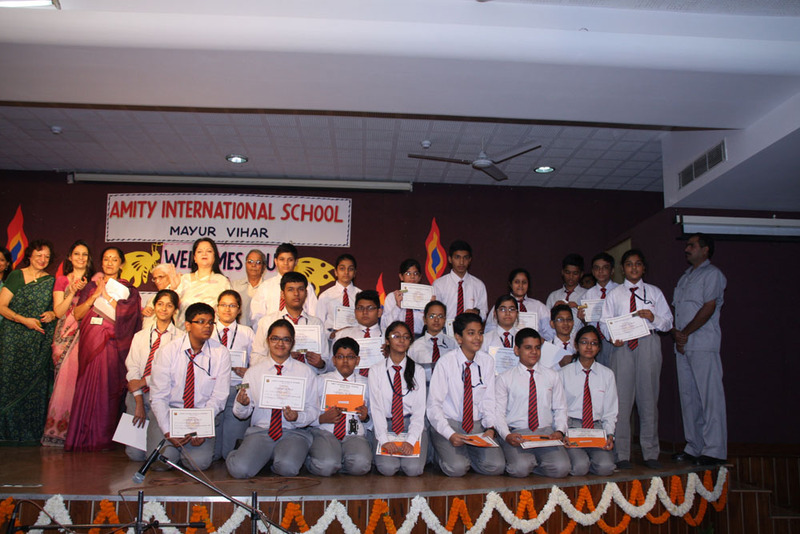 ... [+] Trophies and certificates are given for non-academic subjects as well. Students achieving CGPA 10 in class IX & X are also awarded trophies and certificates. 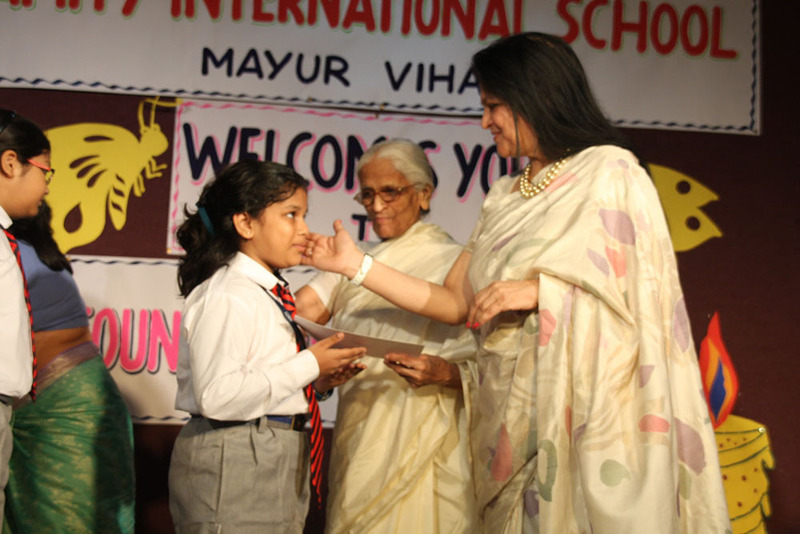 Scholar badges are given to children who score 90% marks and above, in academics. This is given to the student who makes the best effort to adopt the great Indian heritage, culture and values. 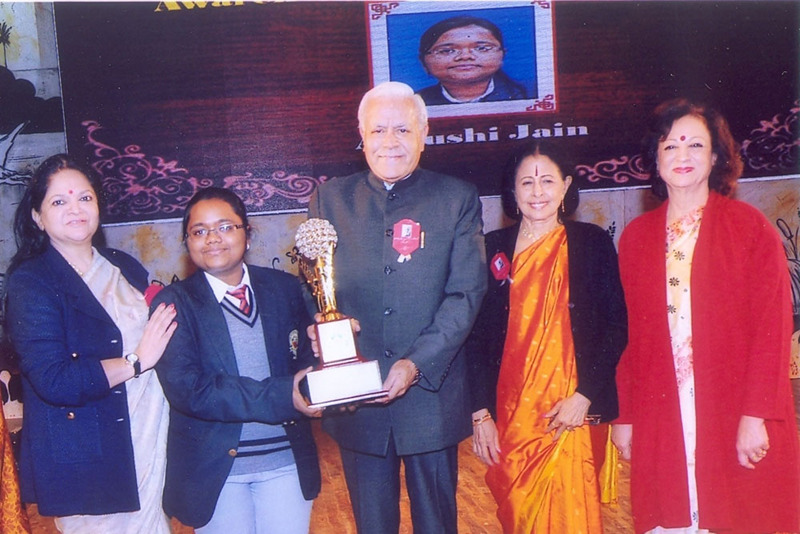 It was awarded to Ayushi Jain of Class XII (2014-15). This is awarded for exemplary sportsmanship and best achievement in the field of sports. 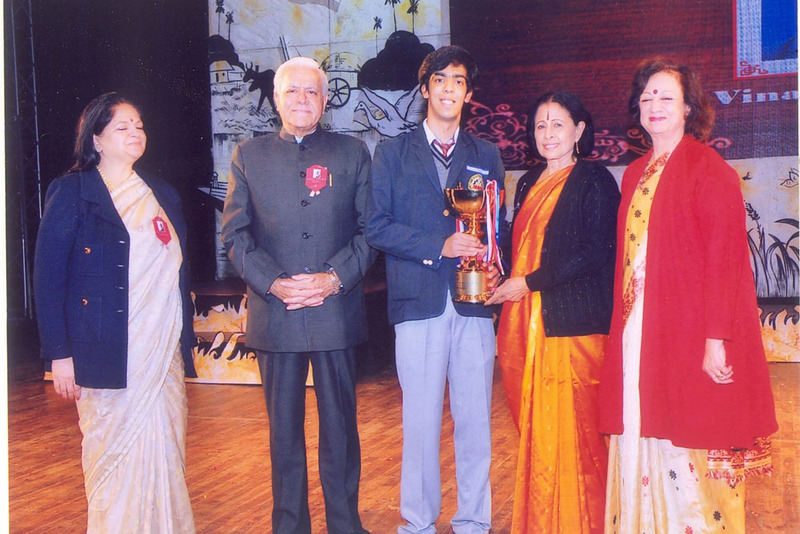 It was awarded to Vinayak Seth of Class XII (2014-15). – It is given for creativity and innovation in Science. 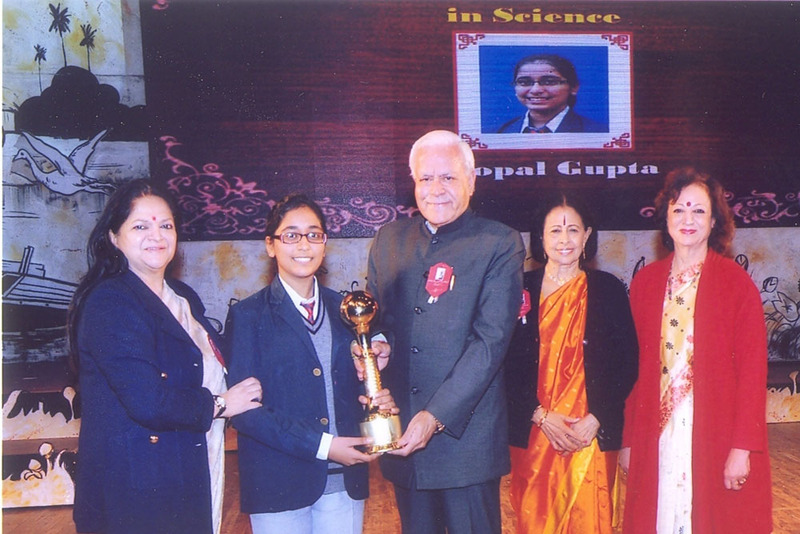 It was awarded to Kopal Gupta of Class XII (2014-15). This is conferred to the best all-rounder student, be it academics, sports and co-curricular activities. 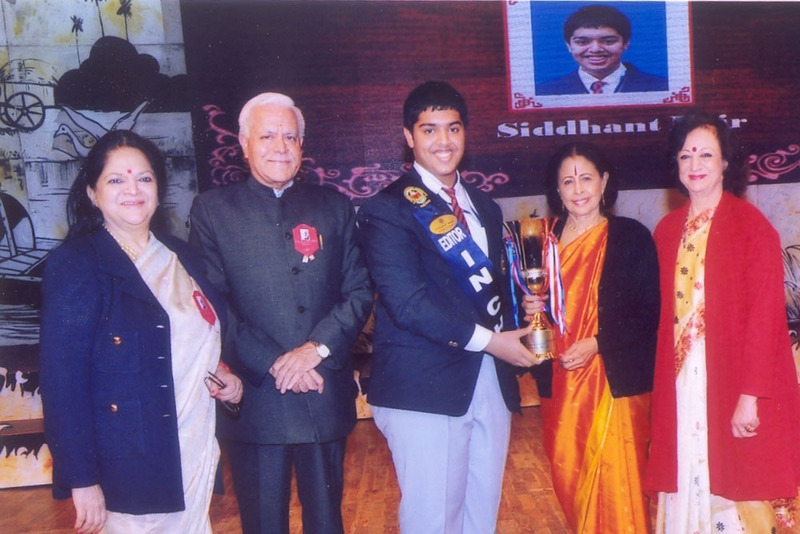 Siddhant Nair of Class XII (2014-15) was honoured with the prestigious award. This is given in appreciation for any outstanding achievement during the academic year. 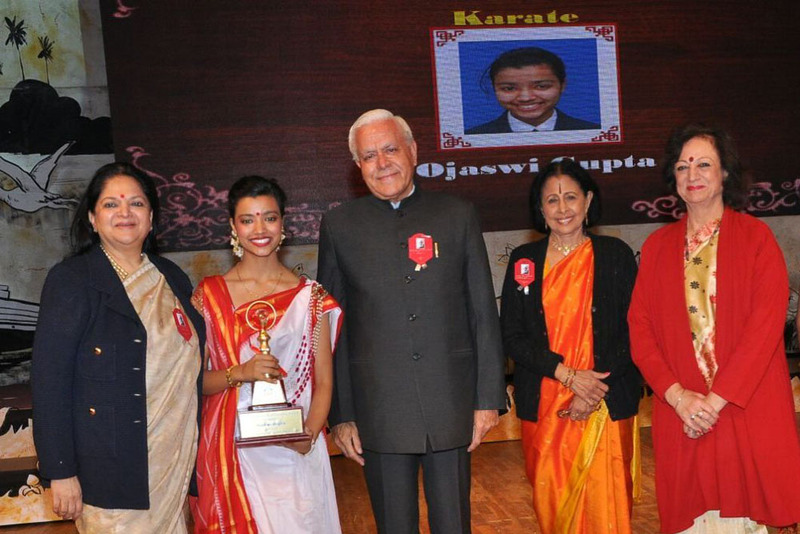 It was awarded to Ojaswi Gupta of Class X (2014-15) for her outstanding achievement in Karate.